Notes: Common in woodland, scrub, hedgerows and gardens throughout England and Wales. Widespread and common in Hampshire and on the Isle of Wight. Wingspan 20-22 mm. 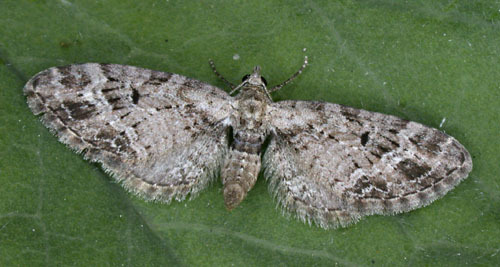 The main confusion species is Brindled Pug E. abbreviata, which is often nearly over before the first Mottled Pug appears, and has less conspicuous discal spot and black wedges. 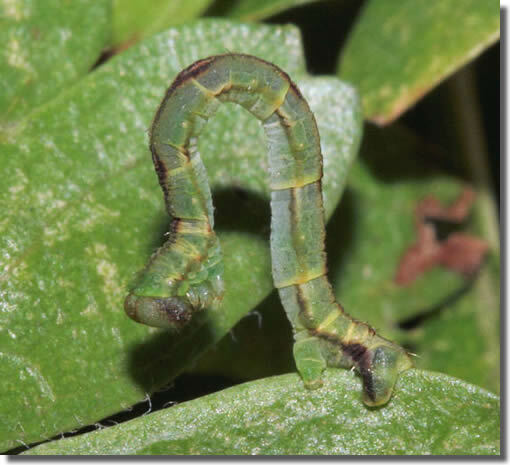 Larva feeds on Hawthorn, Blackthorn and Dogwood, over-wintering as a pupa.